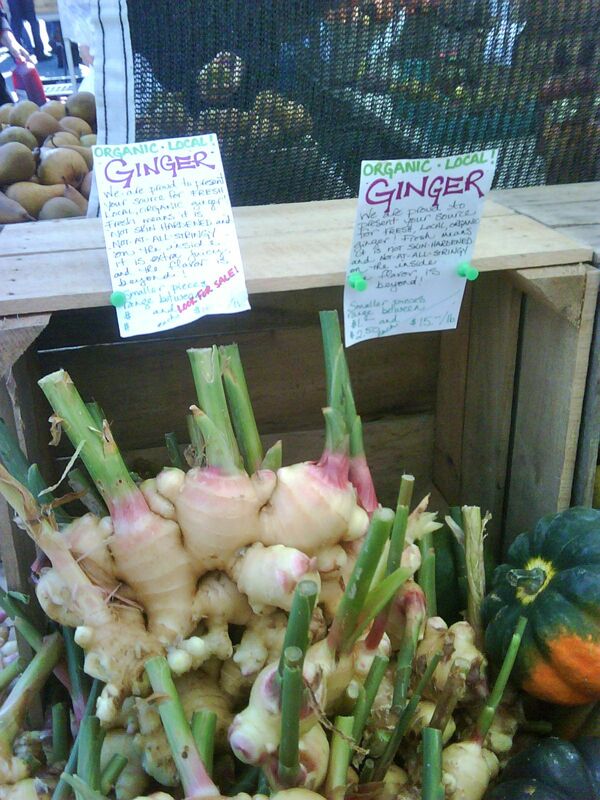 This Thanksgiving, why not make a simple side dish using some fresh organic ginger and sweet potatoes from a local farmer’s market? Treat your guests to this gingery mashed potato recipe, courtesy of Restaurant Nora. I like to use the orange variety of sweet potato or Jewell yams. There are two ways of making this dish. Use one small potato per person. Rub whole sweet potatoes with olive oil, salt, and pepper, and baked at 400 degrees for about one hour or until soft. Halve the potato lengthwise and scoop out the inside and place in a bowl. Mash with a ½ tablespoon of butter per potato and season with grated fresh ginger (about ½ teaspoon per potato), salt and pepper. Garnish with crystallized ginger (optional). Peel and thinly sliced raw potatoes. Toss with ½ tablespoon of butter per potato, 1 tablespoon of whole milk or half and half, salt and a pinch of sugar. Place in a saucepan, cover and cook over low heat for about 40 minutes or until soft, stirring from time to time. Mash with a potato masher or fork and flavor with freshly grated ginger. Season with salt and pepper and brown sugar (optional). Garnish with crystallized ginger (optional).